Justin Taft, owner of The Hangar Café, comes from an extensive background of coffee shop and café experience. He started his career several years ago in Portland, Oregon working as a barista for Coffee People. Starbucks was next where he began as a barista and was soon managing stores in Portland then Seattle. Justin furthered his career at Peet’s Coffee and Tea, managing two locations in the Seattle area. Then he tried something a little different…high end chocolates. Justin was West Coast Area Manager of Neuhaus Chocolates for two years. His last venture before opening The Hangar Cafe was managing The Essential Bakery Company on Madison St.
Our goal at The Hangar Cafe is to serve delicious breakfasts and lunches in a warm, friendly and relaxing atmosphere. 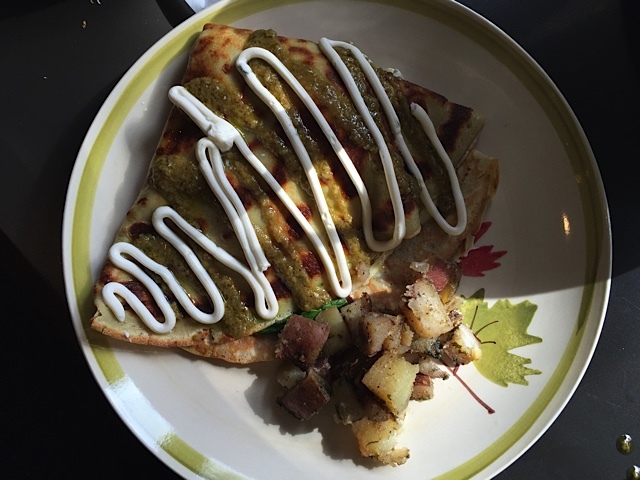 Everything is made from scratch using fresh local ingredients. 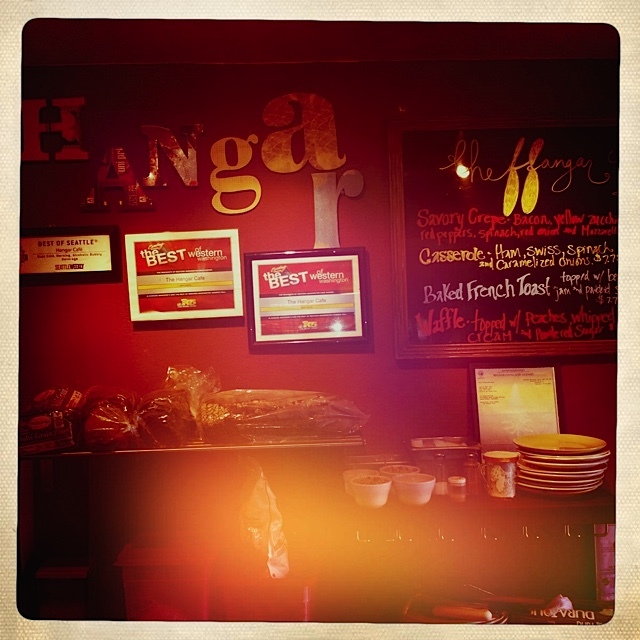 The Hangar Cafe is hip and hot, come as you are and expect to relax listening to good music while enjoying our famous crepes or other tasty selections. We showcase local artwork for your enjoyment and/or purchase. 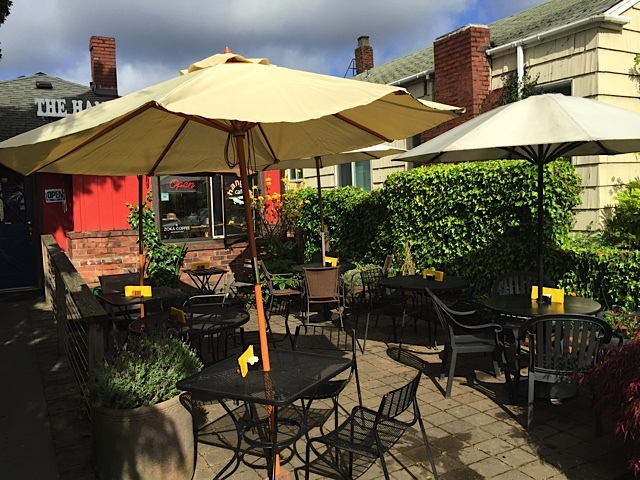 You can choose to dine at an outdoor table (weather permitting) or grab a seat inside. 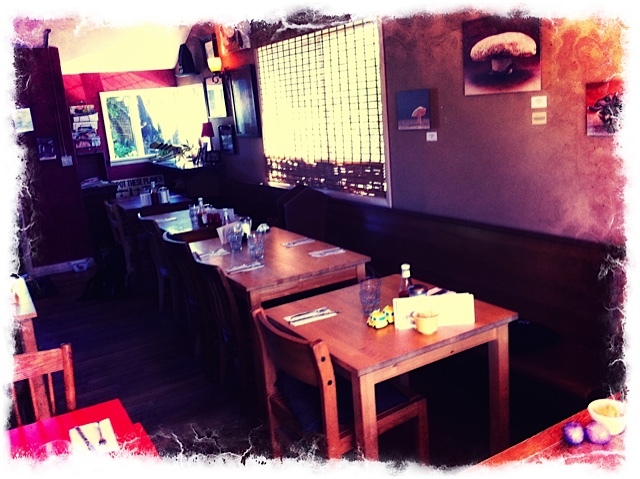 Mismatched chairs and tables fill the cafe. 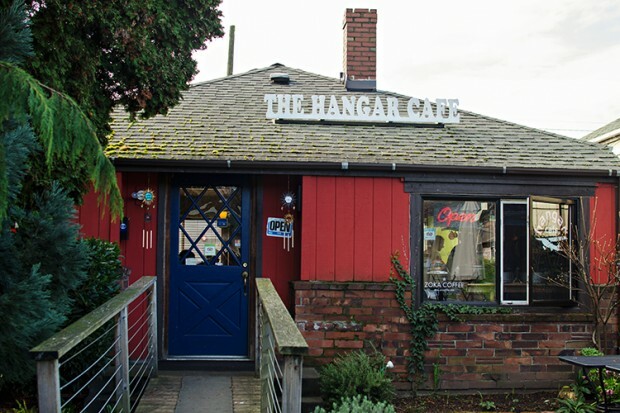 The Hangar offers breakfast and lunch with seasonal specials. Come see us and say hi!